You’re voice is so very important to us! Lots of changes were tried at the conference and we want to hear your thoughts! 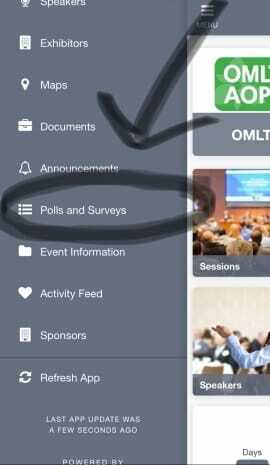 Please take a moment to access the polls/surveys tab from the main side menu on the EventMobi app to access our Conference Survey! Your thoughts/voice is what drives our planning! Merci! Danke! Gracias! Grazie! Thank you! !